Iain, whose work I have highlighted on here before has made great progress with his second work. 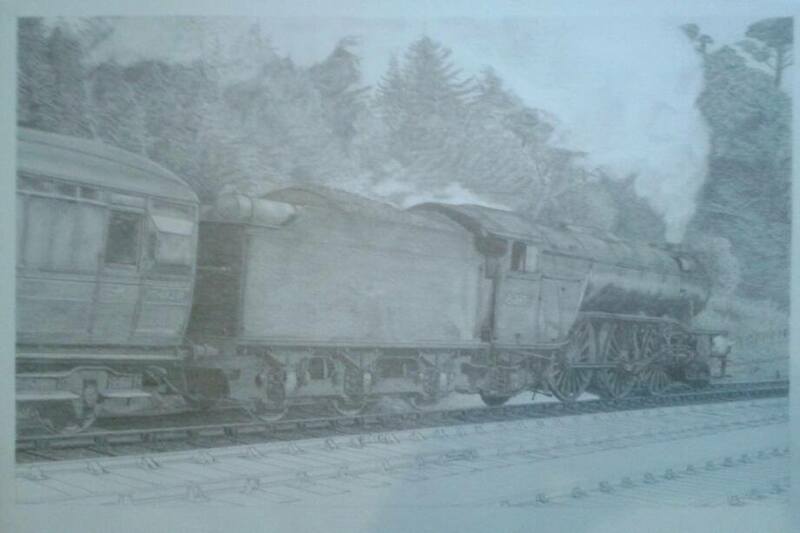 Again it depicts a V2 Class locomotive at work on the Waverley Route. this time it’s on one of the stopping passenger trains that were a feature of the line running between Carlisle Citadel and Edinburgh Waverley. This photo is merely a taster – the work really needs to be seen in the flesh to appreciate the true beauty and finesse of Iain’s work. I understand he will be producing a limited number of prints in due course.